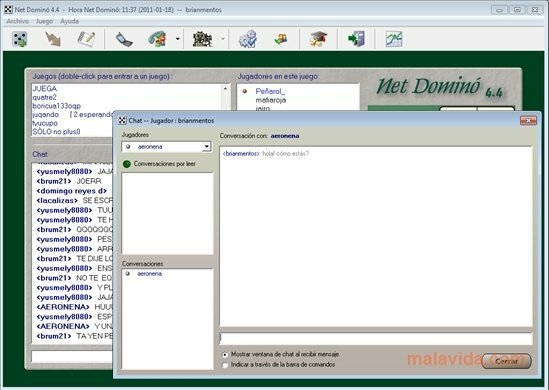 Net Dominó is an interesting system that will allow you to play domino with people from all over the world on the Internet. You will be able to play with your friends, or make new friends while you play with other people. And while you play you will be able to chat and find out things about each of the players. When you launch the application you have to type in your user name and password and you will automatically enter the Net Dominó network system, where you will be able to find users from all over the world and play domino against them. You will be able to see who is connected, the names of the players and the users that are playing, and chat with all of them. 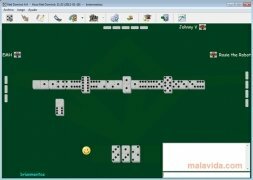 To start a game of domino, you have various options: you can ask the server to assign players to you and automatically create a new game. Another possibility for this software is to create your own robots with different experience levels in the art of playing domino to play against you. 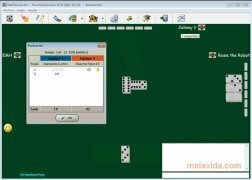 Thus, you will be able to play domino as many times as you want. Try Net Dominó and have a good time while you play against your friends. It is necessary to register free of charge.